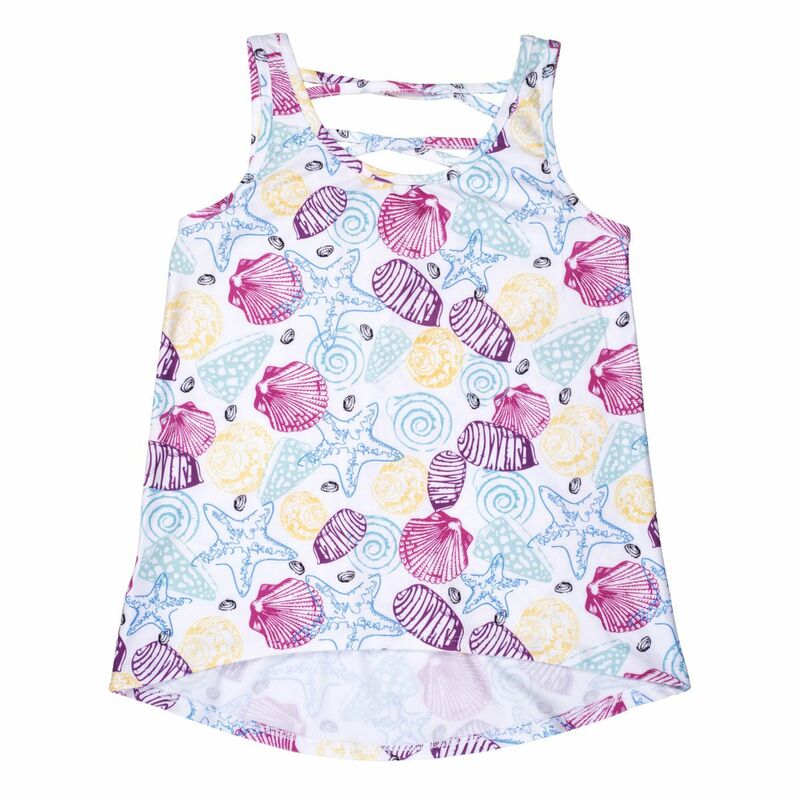 Keep cool in hot weather with our trendy tank top for girls! 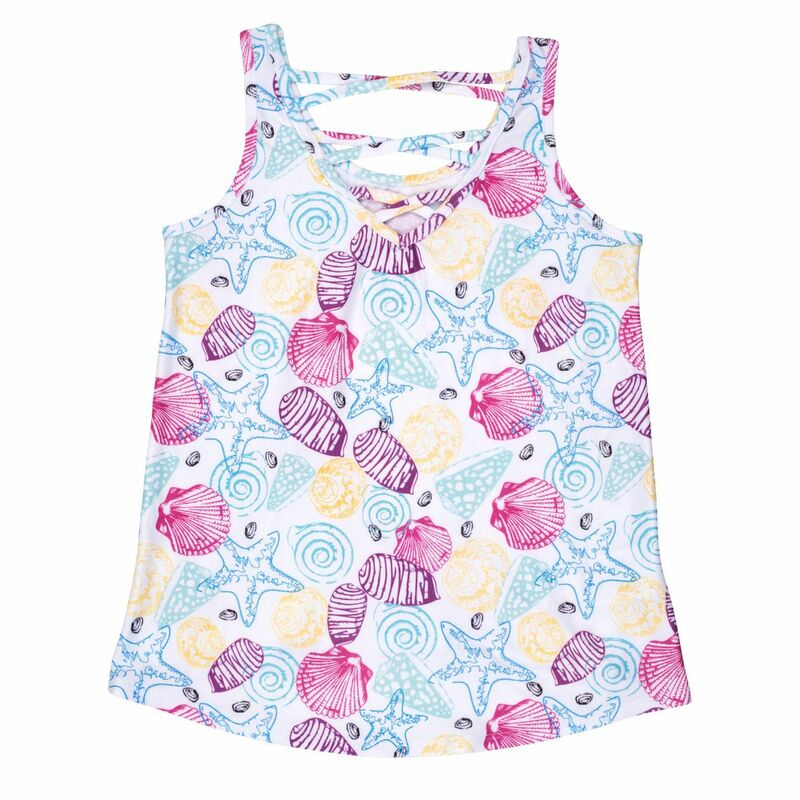 Pair this loose fit, multicolored seashell print tank with our matching mint-colored swim shorts for a complete look. Set out for a day of adventure in a whimsical tank top that’s silky-soft and cool to the touch. 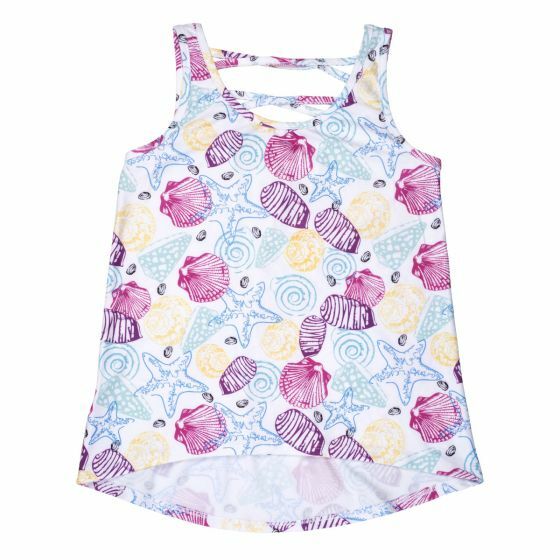 After hours of splashing and swimming in the water, girls will adore having a tank top like this at the ready for an easy transition into dryness without the heavy feeling of thicker fabrics. 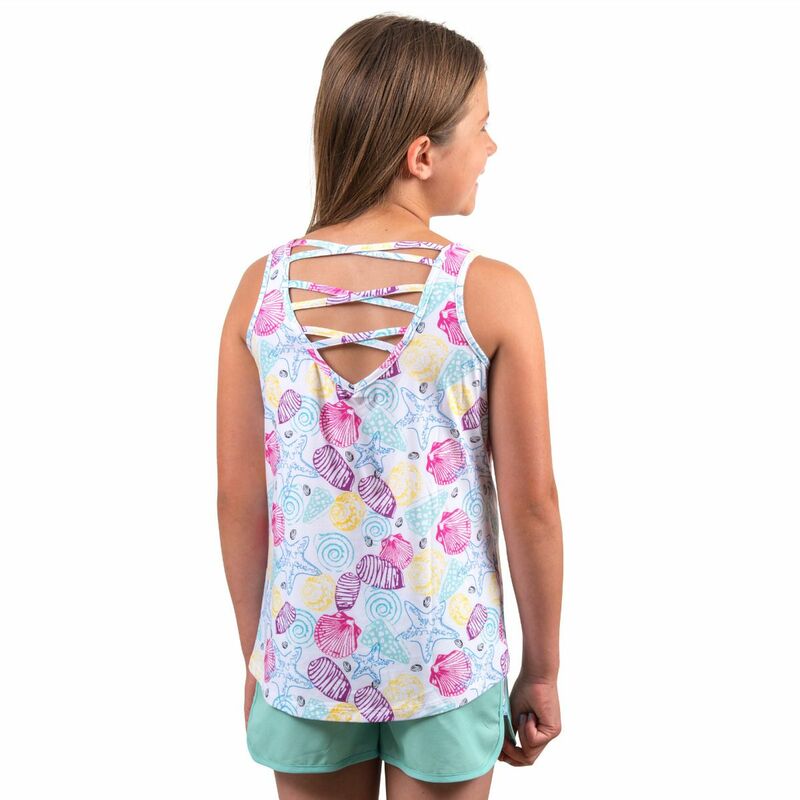 Besides the delightful shell print, this super-smooth fabric features a criss-cross design on the backside that makes it stand out in a crowd! 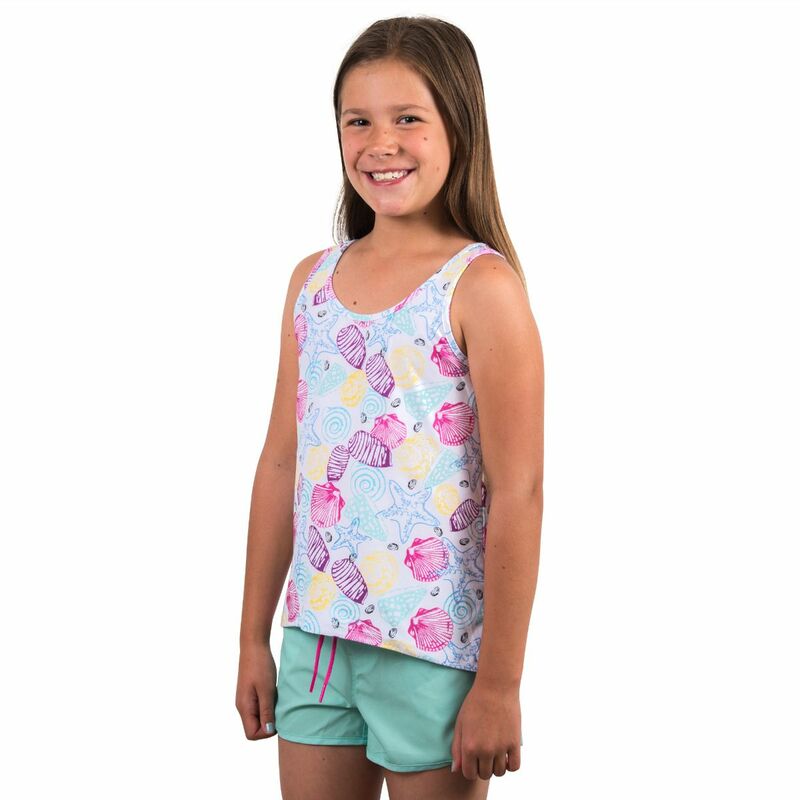 Pair this comfortable girl’s tank top with our mint swim shorts for a complete set. 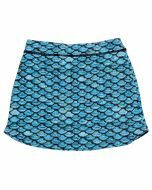 Looking for additional mermaid swimwear? 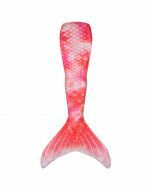 You’ve come to the right place with Fin Fun’s vast array of styles and colors. 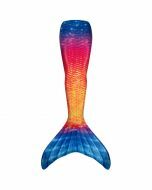 See our full collection of mermaid apparel, including leggings, tees, pajamas, and more for extra Fin-spiration!